Cheesy, quick and easy – and very different with some alfalfa sprouts thrown on for good measure ! Preheat oven to 350 degrees. 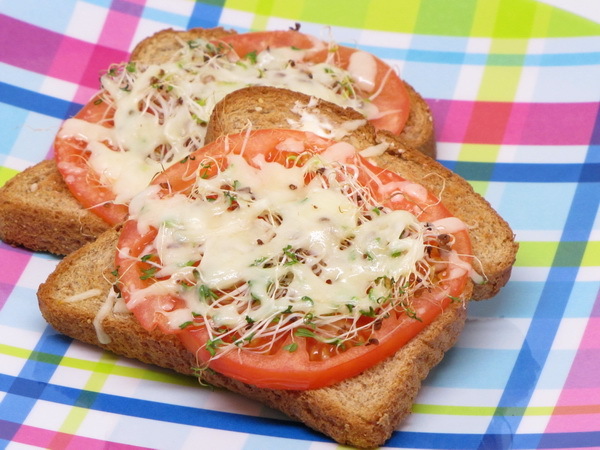 Spread toast with cream cheese and then layer on tomato and sprouts. Top with mozz and bake 8 minutes or until cheese is melted. The goat cheese and avocado surely make up for the meat on this sandwich and you won’t feel deprived at all. 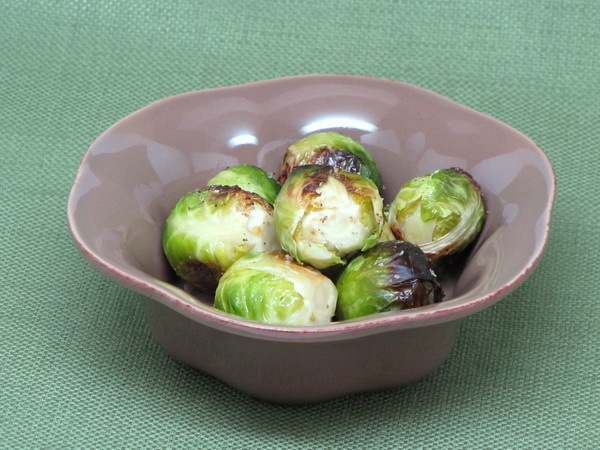 Packed with healthy MUFA and tons of veggies, this will surely be a favorite of yours like it is mine. If you are packing it for work or school, just pack the vinegar separately and pour over just before serving. 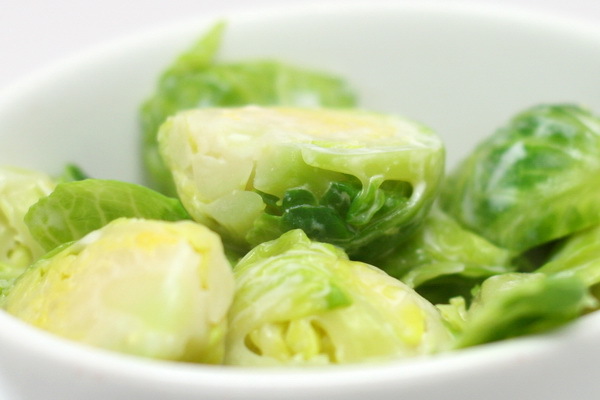 Cut a small piece of cucumber into thin slices and sprinkle with vinegar. 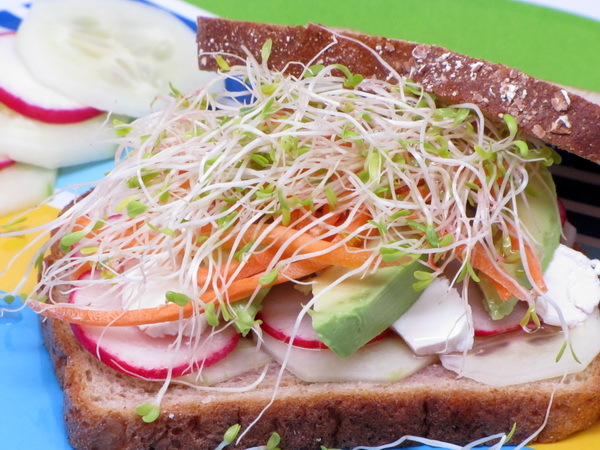 Toast bread and spread with 1 slice of goat cheese and then add cucumbers, alfalfa sprouts, avocado, carrot and radish. 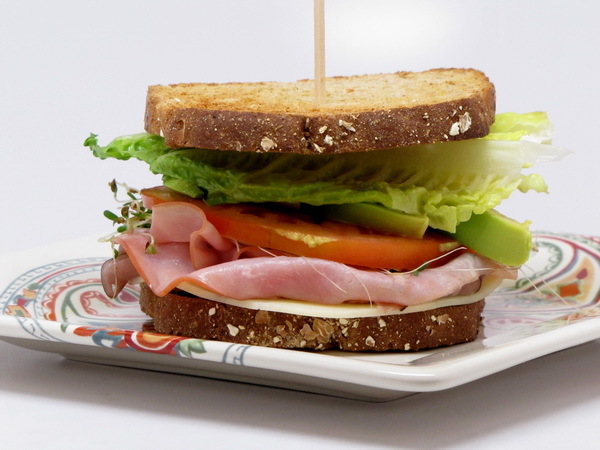 If you are packing this to go – skip the toast and just place all the ingredients on the bread and douse with vinegar just before serving.